A message from Deborah Brassington, Principal, Goodwood Primary School. Goodwood Primary School has a reputation for working successfully with their diverse population to develop a strong sense of community and connection with the local area. The high level of parent involvement across the school is fantastic. The dedication and commitment of our community volunteers is a huge asset. Whole school events at Goodwood promote authentic connections between parents, students and staff where a fun time is had by all. My previous Principal roles have been at Para Hills and Torrensville Primary Schools. 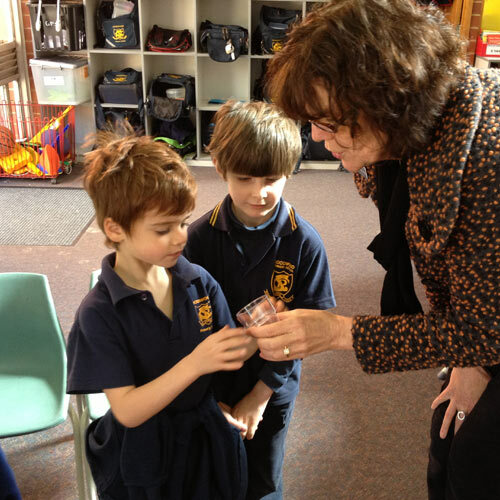 As a Primary School Counsellor, for many years, I worked with schools to review and develop teaching and learning programs and policies to support positive relationships, engaging and challenging personalised learning opportunities. I have found my work as a Counsellor most rewarding and it has provided me with essential skills for the Principal role. Relationships are the key. We use restorative processes to create opportunities for those involved to work together to understand, clarify, repair and restore relationships and work towards a resolution. This strategy develops positive behaviours and responsibility. It is important we make learning environments safe for everyone to share ideas, thoughts, feelings and issues. Remaining open and listening to understand are important skills I endeavour to use. I spend a good proportion of my time out and about joining in with your child's learning and it is very evident to me that our staff are highly professional and committed to a seamless, quality education Preschool to Year 7. They embrace learning and reflecting on their practice to keep up with current research and successful learning methodologies. The future is complex, challenging and uncertain; therefore 21st century education should prepare all people, to deal well with uncertainty - to be confident, capable and enthusiastic learners and explorers. Our focus on Inquiry provides purposeful learning experiences where children personalise their learning by generating questions about their learning and developing their capacity to learn. The skills developed through this approach cannot be underestimated in terms of them being able to respond effectively when they experience challenges in their future lives. Providing students with opportunities to understand how they learn and supporting them to make the links to personal goals. Negotiating tasks, goals and expectations. Explicitly teaching group skills and roles so learning conversations between peers is valued learning. We hope you enjoy your learning experience at Goodwood Primary and Preschool.